Packed full of brand, design, marketing and innovation ideas you can start using today. Learn how a simple creative approach can improve the success of your business. Define who you are talking to? What are your trying to say to your audience? How will you deliver your brand + message? 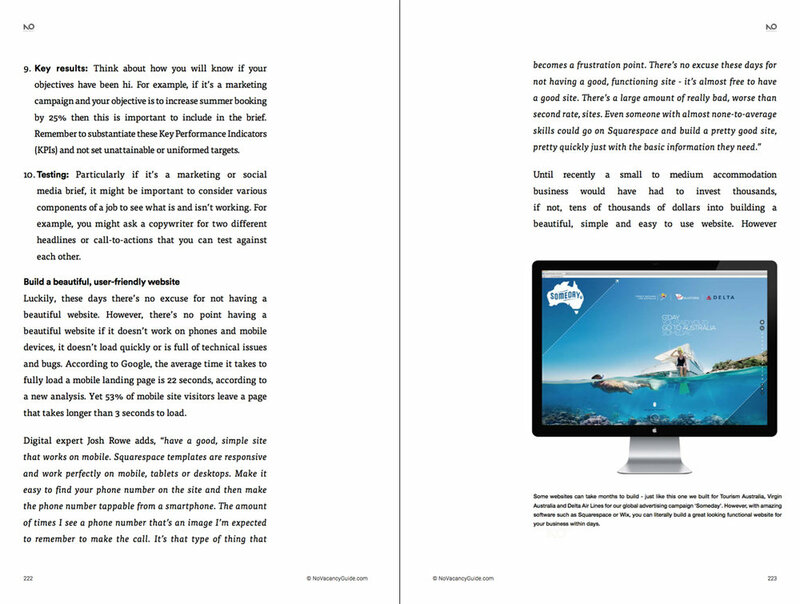 A straightforward guide that's designed to help accommodation businesses around the world increase their revenue and efficiency with a creative approach. See how a creative approach to their brand, marketing and customer experience helped Kuma Lodge in Japan become more effective and increase their bookings. Guests are immune to traditional marketing techniques and the overuse of technology to reach them. They are searching for stories that are authentic and enhance their customer experience. Nick Bonney is an award winning creative director, art director, graphic designer, filmmaker and author. 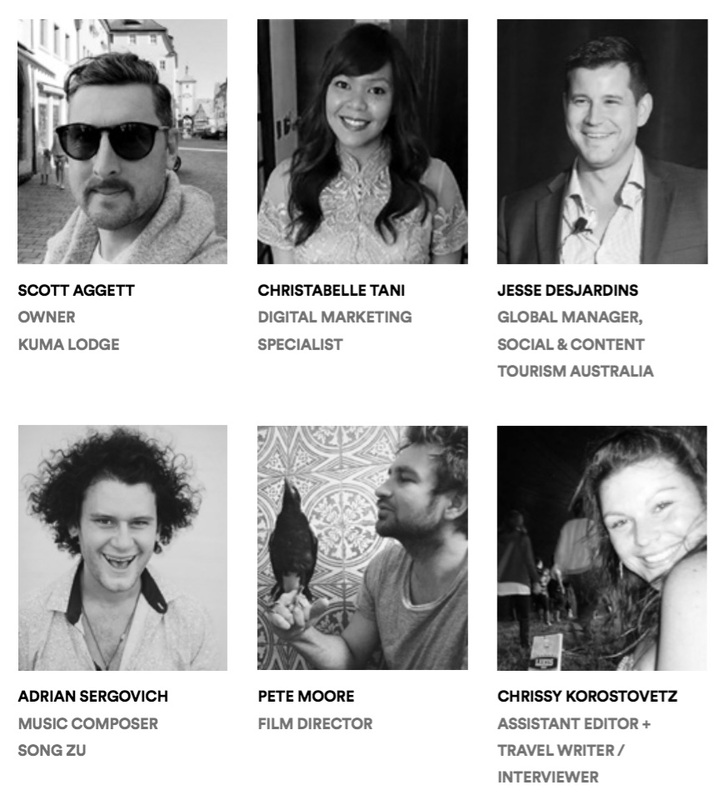 For almost 20 years, he has had the opportunity to work with some of the most iconic brands around the world including Tourism Australia, Qantas, Singapore Airlines, Virgin Australia, Pepsi, MTV and Sony Music. 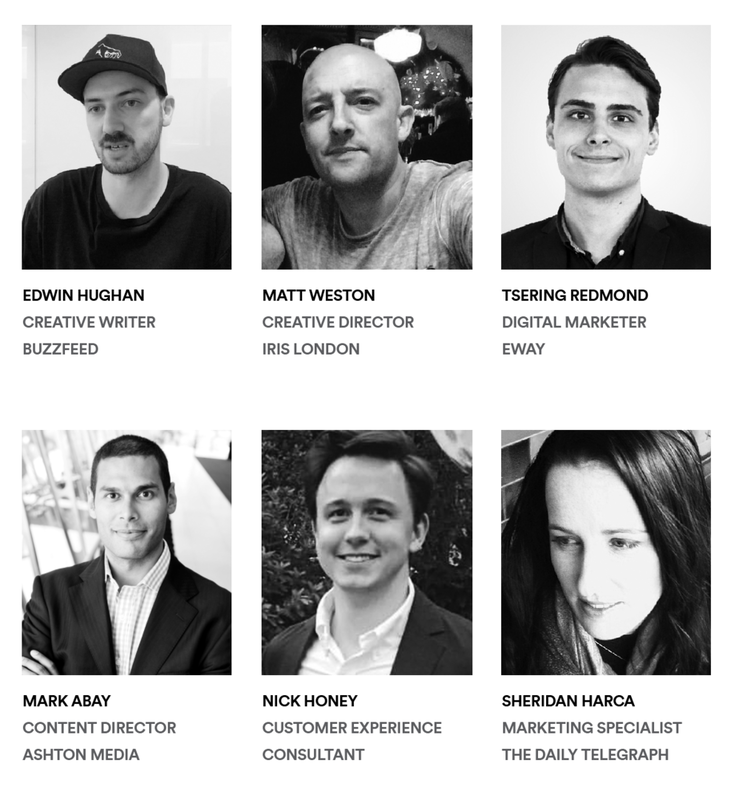 Nick is also founder and creative director of No Vacancy Creative and Sydney-based agency BONSTA. 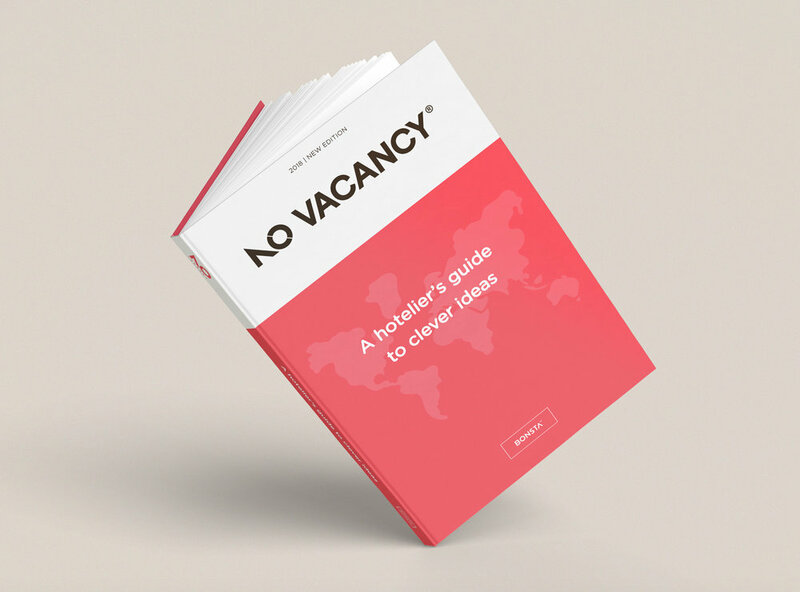 No Vacancy is packed full of practical advice and personal experiences from over 50 creative, marketing, branding and tech global experts. 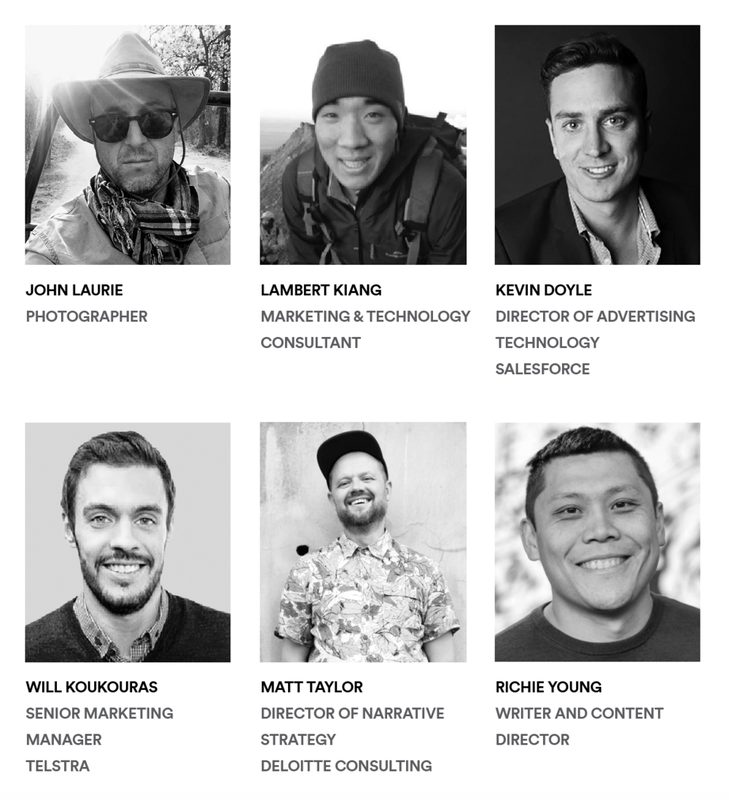 From a creative director in New York to a newspaper editor in Sydney, the head of product at Google in Silicon Valley to a customer experience director in London, these experts have shared a wealth of ideas and insights. Need a little extra help with your design, branding or marketing? No Vacancy Agency can help with all your marketing needs (big or small).